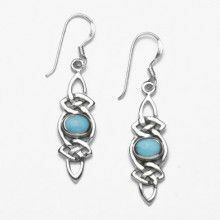 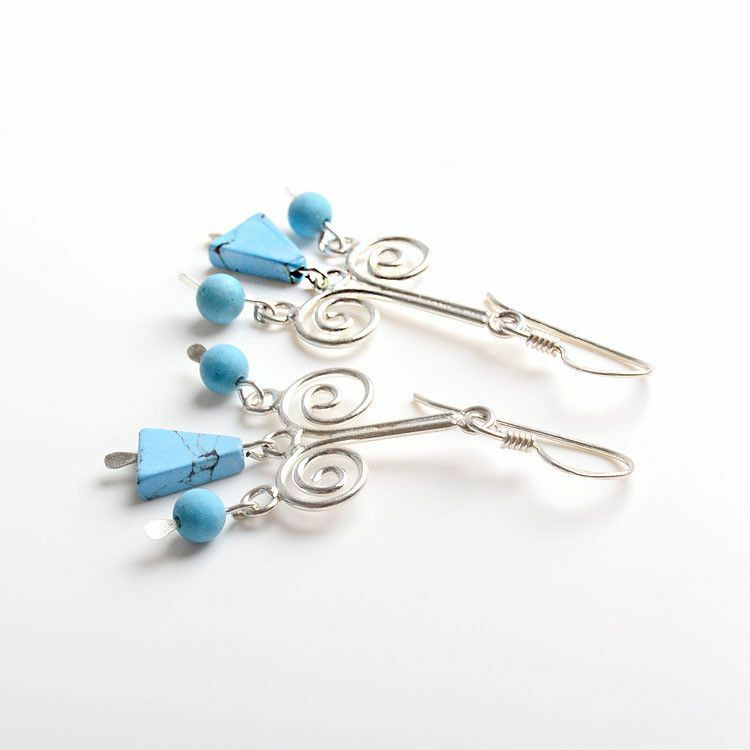 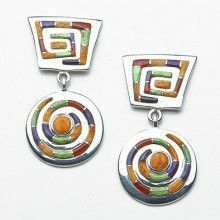 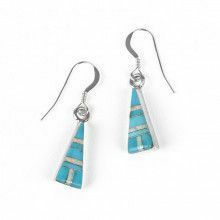 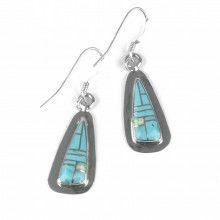 These fun dangling earrings are made with sterling .925 silver which swirls and lends way to natural turquoise beads. 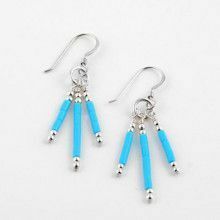 These lightweight earrings are perfect for everyday wear and make a great addition to your basic jeans outfit. 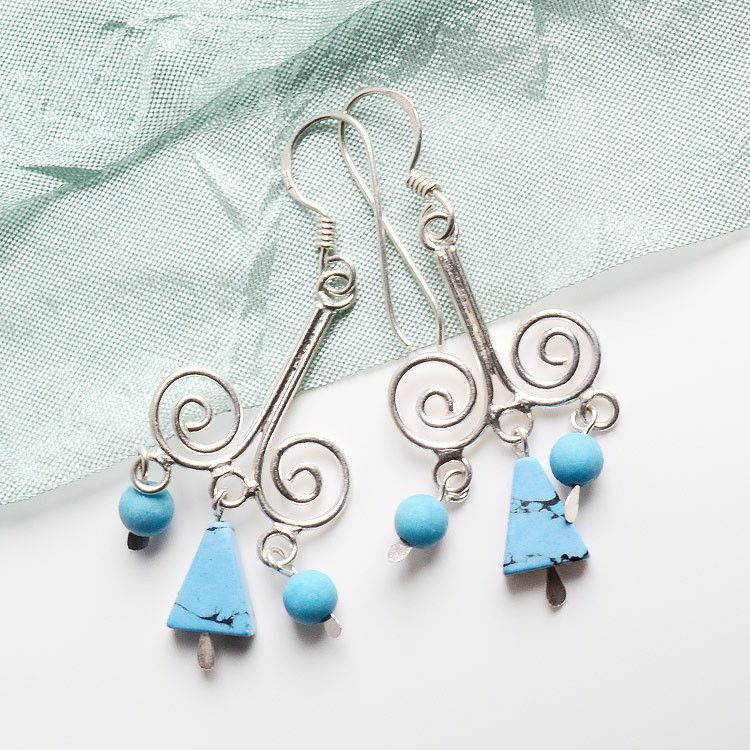 Measures about 1 3/4" x 3/4"